Best Corporate Finance Jobs - The Top 4 Deparmetents to Work In! What are the Best Corporate Finance Jobs? This guide will outline the main types of corporate finance jobs at large operating companies. From a corporate finance perspectiveCorporate Finance OverviewCorporate Finance involves the financial aspect of businesses wherein sources of funds are determined, existing assets invested, excess profits distributed. Corporate finance also includes the tools and analysis utilized to prioritize and distribute financial resources. 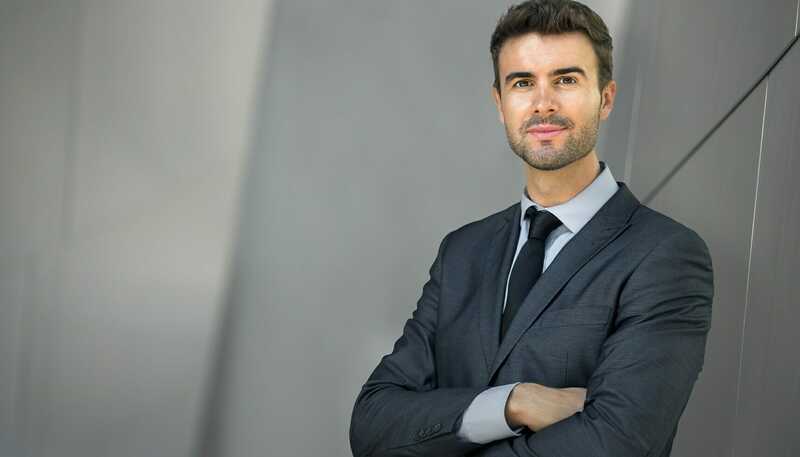 The ultimate purpose of corporate finance is to, the best jobs are those that are the closest to decisions related to the allocation of capital, investments, and long-term planning and value creating. 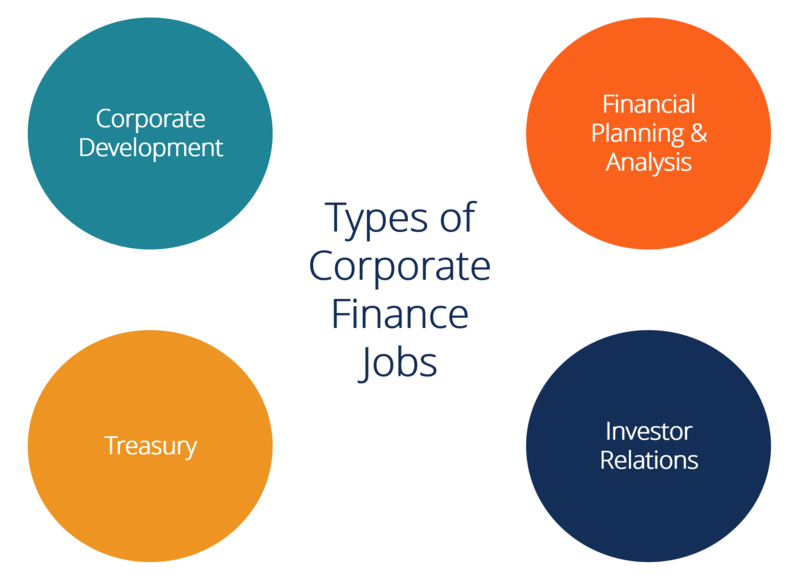 Therefore, the best corporate finance jobs are corporate development, financial planning & analysis (FP&A), treasury, and investor relations (IR). Note: For the purposes of this guide, investment bankingInvestment BankingInvestment banking is the division of a bank that serves governments, corporations & institutions, providing underwriting (capital raising) and mergers and acquisitions (M&A) advisory services. is considered separately, as its own industry. In Europe, investment banking is often referred to as corporate finance. Learn more in CFI’s free introduction to corporate finance course. The Corporate DevelopmentCorporate DevelopmentCorporate development is the group at a corporation responsible for strategic decisions to grow and restructure its business, establish strategic partnerships, engage in mergers & acquisitions (M&A), and/or achieve organizational excellence. Corp Dev also pursues opportunities that leverage the value of the company’s business platform. team (Corp Dev for short) works on mergers and acquisitions (M&A) for a company. They work closely with investment bankers to find target companies, negotiate with them, and strike deals that create value for the company. These transactions can be very large and often transformational for companies. Because of the high dollar values at stake, this group often works in secrecy and can have a lasting impact (good or bad) on the company. Corp Dev is sometimes grouped together with the Strategy group, and sometimes they are separate. While Strategy is not a “pure” corporate finance team, it is closely linked to major long-term decisions related to how the company allocates capital and positions itself in the market. The Financial Planning & AnalysisFP&AFinancial Planning and Analysis (FP&A) is an important function at a corporation. FP&A professionals support executive decision making for the CEO, CFO and Board of Directors with planning, analysis, and modeling. Learn what the job of an FP&A analyst, manager, or director entails - salary, requirements, education, skills team (FP&A for short) is responsible for all budgeting, forecasting, key performance indicators (KPIs), variance analysis, and related functions in a company. They work closely with operations, accounting, and sometimes, Corp Dev and investor relations to manage the company’s internal operating model. FP&A can be one of the most interesting and rewarding corporate finance jobs because it is so closely linked to operating budgets, capital spending, and performance measurement. The TreasuryTreasury Career PathTreasury management jobs involve ensuring that cash and financial risks in a business are properly managed and optimized. The main priority is to ensure cash is managed for day-to-day business operations while having an outlook for long-term strategy. The treasury career path can be a very interesting and rewarding team has responsibility for a wide range of financial activates at a company, including cash management, short-term investments, liquidity management, foreign currency exchange, hedging, buying and selling derivatives contracts, insurance, and issuing debt and equity. The Treasury group is responsible for ensuring the company’s capital structure and financial position are optimized. They spend a lot of time meeting with bankers and dealing with products such as lines of credit, money market securities, and FX trades. The group has to carefully manage the company’s current cash position relative to what’s expected to happen operationally in the future. Investor RelationsRole of Investor RelationsInvestor Relations (IR) combines finance, communication, and marketing to control information between a company, investors & stakeholders. The IR role is to enable the company to achieve the optimum share price that reflects the fundamental value of the company (IR for short) may not always be considered one of the corporate finance jobs, but at some companies it is. At a company with a very sophisticated IR team, they are often involved in decisions around dividend policies, share buybacks, and M&A activity, which are all core concepts in corporate finance. Sophisticated IR professionals have strong skills in financial modeling and valuation and can have detailed discussions with equity research analysts. Let’s take a closer look at how to get the corporate finance jobs listed above. Each of them has their own most common path, but it’s important to note there is a wide range of paths to these jobs. If you’re looking to break into the industry or make a transition, it can be helpful to have a certification or designation that gives you the practical skills you need to move up the ladder as a top performer. CFI is the official issuer of the Financial Modeling & Valuation Analyst (FMVA)™ designationFMVA™ CertificationThe Financial Modeling & Valueation Analyst (FMVA)™ accreditation is a global standard for financial analysts that covers finance, accounting, financial modeling, valuation, budgeting, forecasting, presentations, and strategy. , designed to transform anyone into a world-class financial analyst. Learn more about how the FMVA can help you advance your careerFMVA™ CertificationThe Financial Modeling & Valueation Analyst (FMVA)™ accreditation is a global standard for financial analysts that covers finance, accounting, financial modeling, valuation, budgeting, forecasting, presentations, and strategy. !